Romantic wedding album page from our clients wedding album showing the romantic portrait part of their wedding which took place near sunset in the evening and the venue was the Cielo Blu Barn in Fellsmere Florida. Shown are monochrome images and full color images in combination on a custom designed wedding album page. 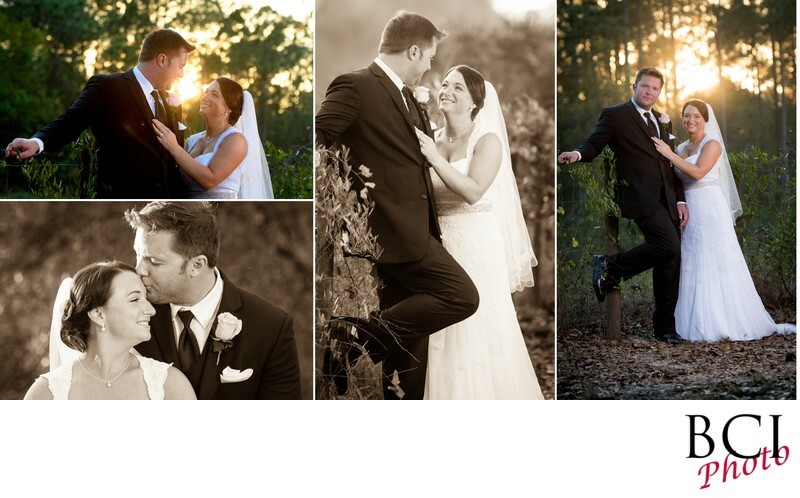 This is typical of our Florida Wedding photographer style. See also, treasure coast wedding photographer, south florida wedding photographer, port st lucie wedding photographer, stuart wedding photographer and vero beach wedding photographer.